Building on the success of its 5th edition, our cycling event has been redesigned with a new name and location. 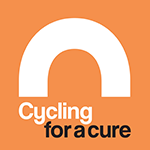 Under the name of Cycling for a Cure, the event will be held on Saturday, September 30th, 2017 at the Gilles-Villeneuve circuit site at Parc Jean-Drapeau, in Montreal. Another new aspect: the event will include several diverse speed, distance, and relay races, as well as an event for young cyclists. The event promises to be festive and uplifting all the while helping with cellular therapy! Organized by the Research Center of the Maisonneuve-Rosemont Hospital of the CIUSSS, East-Island of Montreal, this fundraising cycling event allows to support highly innovative projects developed by our team of researchers and serves as a steppingstone in obtaining major research grants. The ultimate goal is the development of new treatments to improve the well-being of the population. This year, our spokesperson is Katia Luciani, the spouse of Matthew Schreindorfer, whose incredible fight against leukemia, his courage, and faith in science has radiated beyond our borders. Like Matthew, Katia firmly believes that research development in cellular therapy offers hope in the short and medium term for the cure of deadly diseases. Her decision to support this cause demonstrates a deep commitment to cellular therapy research. About our spokesperson.